oyla translates from the vernacular hai allah. Ask bharat ratna suchin tendulkar, sub par member of parliament but advertiser par excellence. yensoy wrote: I am afraid we don't have a story for milk unless we figure out what to do with bulls which obviously don't produce any milk. As things stand, these are long-term burdens for the dairy farmer, many of who have switched to buffaloes which evidently are ok to (sell off to) slaughter for meat. It is best that the population at large understands that milk production has its side effects, and makes peace with this fact. I have a disdain for wall-street (or dalal-street) driven "western capitalism". Here is an anecdote., a good financial analyst friend of mine was talking about productivity in companies. Also came into picture age based productivity and productivity depressors. The good friend of mine came to the conclusion that aged persons and children do not contribute to any productivity or economic gain. Further, in a population (in this case a population set of ideal employees), children and aged persons deduct from productivity gains. I suggested a simple solution. Let's just eliminate children and aged persons from the population set. And he actually agreed and was happy that his models show tremendous productivity gains. Bulls are like that. Never mind that during calving, several male calfs are outright eliminated. Farmers do not realize that milch animals are excellent bio-digesters - that is they take in dry straw and water and produce manure. And the manure yield is worth its weight in iron or steel (or gold ). But sadly, our economic models call for burning the paddy stubble and create more downstream issues instead of creating a feed for the milch animals and recycling the manure as fertilizer. Hence the way I see it, there is no problem with bulls, only opportunity. Whether on wall street (or dalal street) or on farm street. Farmers burn crop stubble not because they don't know about bulls, but because of multiple reasons of which 2 are (i) high labour costs required uproot the stubble, and (ii) plentiful availability of cheap artificial fertilizer which makes composting and age-old techniques seem like a pointless exercise. Keeping bulls around means feeding them throughout the year, not only when it is convenient to feed them, and providing them water, a commodity often in short supply. Of course bulls can be kept as draught animals, yet we have (with intent and incentives) moved farmers to tractors for ploughing fields and carting away produce. Tractors are more reliable, don't collapse in high heat, and can pull a huge load of stuff at a faster clip than bullocks can. Horses are also great bio digesters. Yet more farmers own motorcycles and cars than horses. 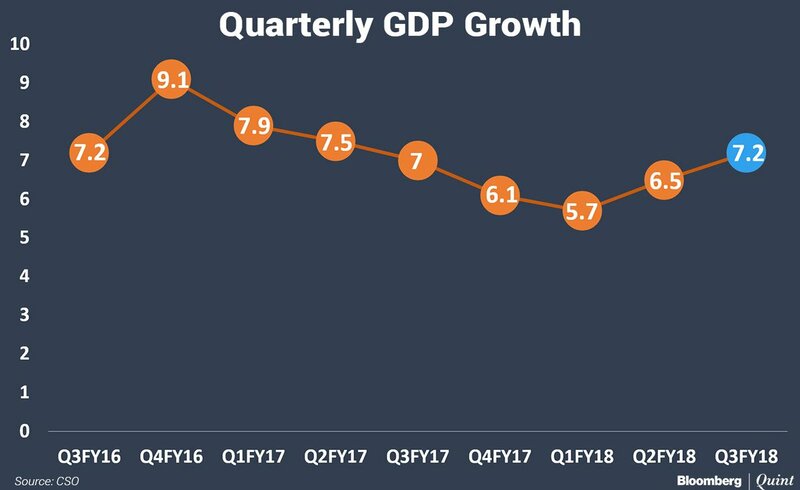 Q3 GDP growth rises to 7.2%. If it rises further in Q4 we may still end up growing faster than China. Jailtey has asked all PSBs to revisit defaulters above 50 crores to detect fraud and setup checks and balances within 15 days. Aircel has filed for bankruptcy. Q3 GDP at 7.2%, 9 months GDP at 6.4%. If we have another 7.2% growth quarter, we might still end up fastest growing economy this year at 6.6%. 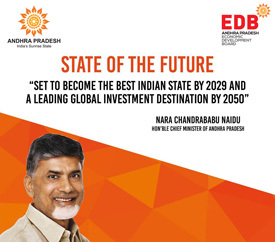 This is a great News for the infrastructure sector in India. This kind of monetization is extremely important for India as it releases upfront funds for new infrastructure. NEW DELHI: In a big boost to government’s asset monetisation programme, Sydney-headquartered Macquarie group has won the Toll Operate Transfer (TOT) bid of nine national highways with a total length of just under 700 km. The company has placed the bid of Rs 9,681 crore as against government’s expectations of Rs 6,258 crore. This is the first such asset recycling process that has been undertaken by the government. The realization will fall as the interest rates go up. Government should expedite this process while the interest rates are still low. This guy is funny, saying look all the loans taken is by private sector and they default so private sector bad. But below is from the horse's mouth, PSB's are about "social justice" IOW: about politics. Job security and this entire mai baap culture sets in. The stench is not with the people of India, who have no option but to work within the system provided to them. The stench has accumulated in a state apparatus and a flawed structure, who's original sin traces to 1969! Letting bank capital do its natural job led by market forces in a regulated environment is the need of the day, not another social justice program. Mr. Modi: Fulfill your promise. The government should not be in the business of business. This is a golden opportunity to strike. State Bank of India chairman Rajnish Kumar said those living in glass houses shouldn’t throw stones at others and that the private sector’s claims of higher corporate governance standards sound hollow in light of their high rates of debt default and bankruptcy cases. Kumar, the chairman of the country’s largest bank by assets, hit back at critics of staterun enterprises and their calls for privatising state-run banks in an interview to ET on Monday. He said almost all bad loans and poor governance standards cases are from private sector enterprises while state-run firms have high governance standards. “If the private sector is all about good corporate governance then tell me which public sector company is in NCLT (National Company Law Tribunal) today? They are all private sector companies,” Kumar said. “They all default and sit in the front rows of the industry associations. That is the reality today. So when somebody is preaching, preach… for sure, but also look at the reality. A debate is raging about whether the government should privatise state-run banks after Punjab National Bank recently disclosed the biggest fraud in the nation’s history. It was reported that about Rs 11,300 crore had been swindled from the bank by companies of Nirav Modi and Mehul Choksi in collusion with a few bank employees. Billionaire Uday Kotak, executive vice-chairman of Kotak Mahindra Bank, has said that there is no need for so many state-run banks. At the Global Business Summit last week, experts suggested that it may be time to relook at lowering of government ownership. But SBI’s Kumar said that there is a certain role that state-run entities play for the betterment of society which the private sector would not be willing to do. “There is a huge socio-economic agenda which only public sector banks cater to,’’ said Kumar. “Does anyone speak about who will run branches in the troubled and remote parts of the country where you have to walk for 12 hours to reach the branch?’’ On the PNBBSE -12.11 % scam, Kumar said he is hopeful that the systemic credibility would be maintained with fulfilling of all commitments. “I am very confident that PNB will not do anything that will erode the faith in the Indian banking system,’’ said Kumar. Who, private or public banks, have got more NPA is besides the point of privatization. If a private bank fails, it's the investors who loos money when a PSB fails, tax payer foots the bill. Katare wrote: Who, private or public banks, have got more NPA is besides the point of privatization. If a private bank fails, it's the investors who loos money when a PSB fails, tax payer foots the bill. He's not talking about NPAs alone, he says that the biggest defaulters are private sector companies. This is indeed a great news. Macquarie and Brookfield are big infra players all around the world. Macquarie is not a long-term player but it is not important. This model is currently very popular in the western countries, where someone like Macquarie and Brookfield takes equity position and a large debt position is taken against which underlying asset is held as collateral. Such debt is eventually placed with insurance companies or large debt funds. Hope to see more of such deals in the future. NPA figures are actually deceptive. Pvt Sector Bank figures are more so. While the poor appraisal of loan proposals is one of the main reasons, it is not the sole reason. In fact knowledge, wise and admin wise PSU Banks are far better then Pvt ones. Pvt ones have better media management. That is all. Do you know how much ICICI lost to Vijay Mallya? No one speaks about it. There are some Pvt banks with which one shall not keep their deposits. The reality when it hits ( it will never hit as all is "managed") it will be more shocking than anything came before in the banking sector. Look at the history. Starting from GTB to many old Pvt banks there were many bank failures which no one wants to remember. Try to deal with some of the old gen Pvt banks and you will see how bad they are even now. Yagnasri wrote: NPA figures are actually deceptive. Pvt Sector Bank figures are more so. While the poor appraisal of loan proposals is one of the main reasons, it is not the sole reason. In fact knowledge, wise and admin wise PSU Banks are far better then Pvt ones. Pvt ones have better media management. That is all. I broadly agree. If one removes politically influenced lending, and rural branches, the better PSU Banks are as efficient as private banks. Overall productivity stats for PSU banks are lower, largely because rural business has a poor turnover per branch and because PSU banks cannot retrench staff made redundant by technology. Also, a lot of private bank staff are outsourced. For a relatively poor person (e.g. my domestic help or office peon) a PSU bank is more customer friendly than a private bank. This is for 3Q as well as the advance estimate for the full year (a revised estimate will be made in end May). * Per capita GDP & income are now almost Rs.1.3 lakh or ~$2000 . * Deceleration in agriculture gross value add (GVA) this year, but corresponding acceleration of services GVA. * GFCF (fixed capital formation) at least at base year prices is up significantly to 32.5%, after 6 quarters hovering between 29-31%. * It's generally clear the bottom of the cycle is past and that momentum is building again. We're talking Oct-Dec 2017, so it's built up even more now. These are pretty good numbers overall. The major structural revisions like DeMo and GST have ceased to affect the top level macroeconomic picture, though much still needs to be done to finetune things are the individual level. The following is India's GDP (nominal, USD) as a fraction of world GDP, as per World Bank data, 2000-2016. World Bank data for 2017 is not available. IMF data (estimates for 2017) puts India at 3.24% of world GDP, which is squarely on the long-term trend line shown below. Per this chart, PM Modi and co. have not so far accelerated this trajectory. Linear increase in global GDP share is good enough...believe me, before one starts dreaming of exponential growth! Look at India's export performance - all kinds of grand dreams cooked up and leave alone linear growth, since 2012 there has been no growth at all! I will take the steady linear growth in GDP share, as reflected in the above graph, any day. ^^^ Was hoping for a steeper slope with PM Modi sarkar; still linear, just faster. By the way, India / (India + Rest-of-the-World) cannot become exponential, unless Rest-of-the-World is shrinking much faster than India grows. India has managed 6-7% average growth since liberalisation. The only other country of similar size who has done more in recent times is China which is 10-14% during the 2005-2015 period. So I think you mean higher growth trajectory not exponential. If there are systemic bottlenecks and corruption sustained high trajectory growth is not possible as we can see from what happened between 2010-2014. Therefore the first thing to do is to clean up the system as much as possible. Growth will follow but China style growth, if possible in a democracy will need solution to the NPA problem. The lower trade data according to Modi is partly due to reducing corruption by making it more difficult to under/over invoice export/import. It is currently again showing a growth trajectory. Also high trajectory growth has the potential pitfall of high inflation due to overheating. In a democracy you have to be conscious of inflation as you need to get re-elected. The moment RBI sees overheating it will raise interest rates and try to slow down the economy. So it is not a desirable outcome although it seems fantastic that China did it. China had to eventually cool down but it is a dictatorship. So they don't have to stand for election and answer why potatoes are selling for Rs 100 a kilo. It is better to have sustained high growth. Chinese growth is the result of NPA. Government Banks driven expansion of the export engine, feed by the money from the export! If we apply the chinese way of doing thing, either we need large NPA or exports. Bank Loans was what drove our "boom" last decade. So we tried that. Hope we get lucky with exports. There is no way to prevent NPA. There will always be NPA. All this effort to fix NPA may cause hard to get loans. Banks would become risk averse. nam wrote: There is no way to prevent NPA. There will always be NPA. All this effort to fix NPA may cause hard to get loans. Banks would become risk averse. The problem is not whether there will be NPAs or not. By the the more appropriate term is "Bad Loans". The problem is who pays for the bad loans. In case of PSUs it is entirely paid for by tax payers. Government bailouts also happen in case of private bank but the shareholders take a much bigger hit. The only feasible solution to the bad loans problem is to privatize banks so that shareholders make sure managers behave and control bad loans. The current structure or patial privatization is like "Head you lose, tail I win." The shareholders/managers should have skin in the game otherwise this problem will persist no matter how well the banks are monitered. A_Gupta wrote: The following is India's GDP (nominal, USD) as a fraction of world GDP, as per World Bank data, 2000-2016. There is something about GDP growth which does not gets stressed often enough, which is that higher GDP growth is not always good. For instance, an economy could go on a debt binge, invest very poorly (say, into real estate bubbles) and push its GDP growth higher in the short term. This will not result in a better economy in real terms and will lead to a debt write-offs and slowdown later on. Indeed, this is more or less what happened in UPA. To re-stress the point, when trying to make sense of any economy, never look at just the GDP numbers. A_Gupta wrote: ^^^ Was hoping for a steeper slope with PM Modi sarkar; still linear, just faster. That formula is precisely the problem with this measure. If you think about it, there's a more or less steady increase along the trendline. But the rest-of-the-world (ROW) has hardly been a constant term in the denominator. In the years 2008-2011, the ROW economies were wracked with stagnation and contractions in key areas: the USA, and across Europe from Iceland to Greece. Despite this, India's SHARE of the world GDP did not increase, and in fact dipped slightly. Today the ROW economies have rallied and are growing as well. Yet India's share (per the graph) continues to maintain about the same slope despite a larger denominator. Accounting for this, the roughly continuous slope of the "GDP share graph" suggests there HAS been accelerated growth since Modi Sarkar took office. Rudradev wrote: That formula is precisely the problem with this measure. Actually, I came up with this measure because of an argument that I butted into about "India is growing at 7% only" , "Long gone is the talk about India growing at 10%", etc., and one side was pointing out that India can't grow fast, e.g., can't grow its exports, if the world economy is slowing down, and so on. I'm not sure how the original graph doesn't say our growth has been above the linear trend line since 2014. That's exactly what the graph shows - it was last above the sustained trendline in the early 2000s, and has again been above trend line since 2014 . Further, I'm skeptical of data that reports our GDP as a percentage of world GDP in nominal dollars because that doesn't account for wide purchasing power differentials across the world. Better to see how much PPP GDP looks like as a fraction of world PPP GDP. Offenders Bill, which provides for attaching properties of alleged fraudsters who do not respond to summons for questioning or trial. The Cabinet also cleared a proposal, under Section 132 of the Companies Act, to set up the National Financial Reporting Authority (NFRA) to regulate chartered accountants (CAs). While the Bill will be sought to be introduced in the post-recess Budget session of Parliament, the NFRA will be notified under the existing Companies Act, Finance Minister Arun Jaitley told journalists after the meeting. The fugitives Bill will cover those whose alleged proceeds from a crime are over Rs 1 billion. The NFRA will regulate accountants of listed companies and big unlisted companies. The Ministry of Corporate Affairs (MCA) will define the latter entities. Small unlisted companies will be regulated by The Institute of Chartered Accountants of India (ICAI). “The person who does not appear in front of the special court or does not respond to a summons will be declared an economic offender,” Jaitley said. All the offender’s assets will be confiscated, not only those from the alleged crime’s proceeds. “Even benami (concealed under other names) assets will be confiscated. The next step is a mechanism of international cooperation, which will enable the authorities to confiscate foreign assets of the person declared an economic offender. Which country the person’s assets are in, that country’s cooperation will be needed. We will make appropriate arrangements,” Jaitley said. He added the offender would not be able to file any civil claim in Indian courts. According to the Bill, a special court will have the power to declare a person an economic offender. An administrator will be appointed to manage and dispose of the confiscated assets, including helping banks recover any defrauded amount. Suraj wrote: I'm not sure how the original graph doesn't say our growth has been above the linear trend line since 2014. That's exactly what the graph shows - it was last above the sustained trendline in the early 2000s, and has again been above trend line since 2014 . Unfortunately BJP has so far failed to highlight this aspect of UPA rule that looted the nation. BJP has spent 4 years coping with the toxic wastes of UPA rule. The election results in the 3 states in the Northeast are an important data point for Indian Economy. 1) The good performance of BJP and allies in states where there is a Christian majority is an indicator that BJP has come a long way in finding board support. 2) It is a also indicator that the political rhetoric aside, the ground reality is that people agree with Modi's economic policies. 3) Finally, it is good news for the stock market. Modi will win in 2019 is already priced in the market. There performance in NE is an indicator of even better performance. So in 17 years india's gdp share increased by about 1.5%. But in the same period India's share of world's population increased by same 1.5%. I dont think India has improved at all relative to the world. as Suraj mentioned, gdp nominal is not a goodmeasure, ppp would give us a better idea. ^^^Actually India's share of the world population over 2000-2016 increased from 17.2% to 17.7% or something like that. Further Nominal GDP share increased 1.5% but PPP GDP share increased 3%, so in PPP terms Indians are better off in 2016 relative to the world than they were in 2000. Also GDP-wise, India is much better relative to itself. - Is India becoming better off relative to itself at a satisfactory rate? -- this is really what matters to voters. - Is India becoming better off relative to the rest of the world? -- this is what counts for a lot in international affairs. KiranA, your maths is a bit D grade. Actually, India’s share of world population has increased from 17.2% to 17.8% from 2000 to 2015, which is 0.6% over 15 years. But even if we over-indulge your 1.5% increase in world population “assumption” (actually outright misinformation). So, your conclusion that India’s relative position has not improved is plain wrong.